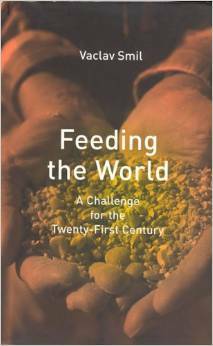 This book addresses the question of how we can best feed the ten billion or so people who will likely inhabit the Earth by the middle of the twenty-first century. He asks whether human ingenuity can produce enough food to support healthy and vigorous lives for all these people without irreparably damaging the integrity of the biosphere.What makes this book different from other books on the world food situation is its consideration of the complete food cycle, from agriculture to post-harvest losses and processing to eating and discarding. Taking a scientific approach, Smil espouses neither the catastrophic view that widespread starvation is imminent nor the cornucopian view that welcomes large population increases as the source of endless human inventiveness. He shows how we can make more effective use of current resources and suggests that if we increase farming efficiency, reduce waste, and transform our diets, future needs may not be as great as we anticipate.Smil’s message is that the prospects may not be as bright as we would like, but the outlook is hardly disheartening. Although inaction, late action, or misplaced emphasis may bring future troubles, we have the tools to steer a more efficient course. There are no insurmountable biophysical reasons we cannot feed humanity in the decades to come while easing the burden that modern agriculture puts on the biosphere.